We're starting a new scheduling series called A Day In The Life. 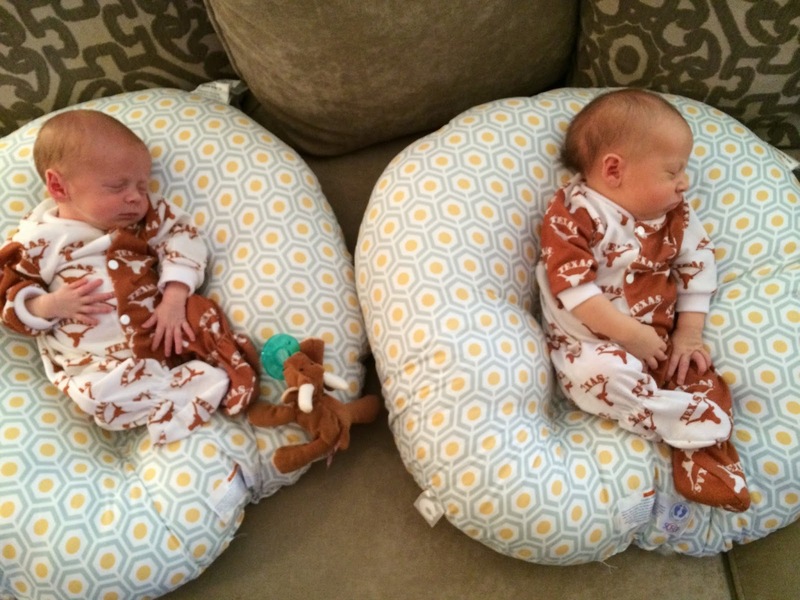 We've asked twin moms to keep a log and take pictures of a typical day with their twins. We're beginning with one-month-old twins and will work our way up in age! Cyndi did an amazing job taking notes with her twin girls. Those of you with older twins will read this and shake your heads in amazement ("We did all of that?!" Yes you did!) while those of you who are pregnant with twins... maybe take a few deep breaths before proceeding. My husband, Trae, and I knew we wanted to start a family quickly after getting married. Getting pregnant didn’t come easy for us: I had PCOS, Endometriosis, Diminished Ovarian Reserve, and I needed to have surgery & take medication just to ovulate. After five failed IUI’s we chose to go through IVF and got pregnant with our only two viable embryos: twin boys! Sadly, on February 1, 2013 at 23 weeks 0 days gestation our world came crashing down when I went into the doctor with gas-like pains only to realize I was in preterm labor and dilated. I delivered my 1 lb. 6 oz/each twin boys, Sawyer Jameson & Tristan Milton, two hours later. The boys passed away six days later. Despite being completely heartbroken, our desire to want to be parents to living children never wavered. Being Sawyer & Tristan’s parents made us want children even more! In April I flew to Chicago and had a TransAbdominal Cerclage placed to fix my incompetent cervix, allowing me to safely carry a baby again. 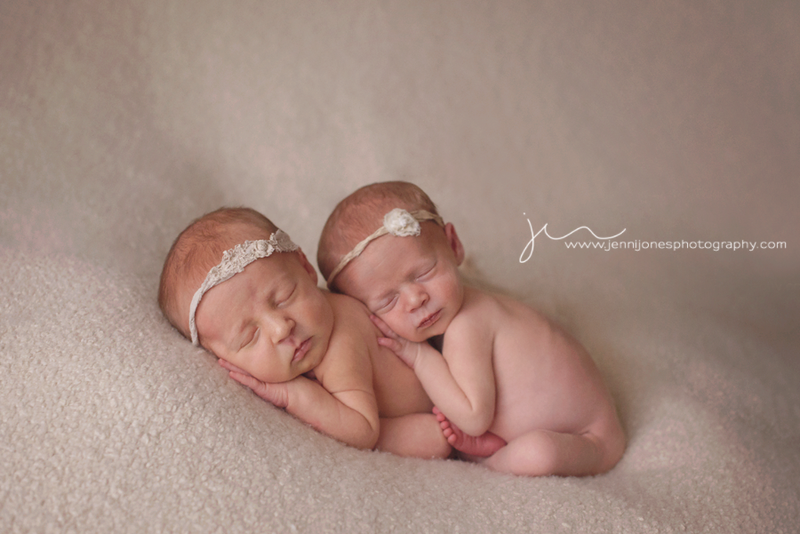 In July after another round of IVF, we were pregnant again... with TWIN GIRLS this time! We couldn’t believe our luck and were so excited…. and very scared at the same time. 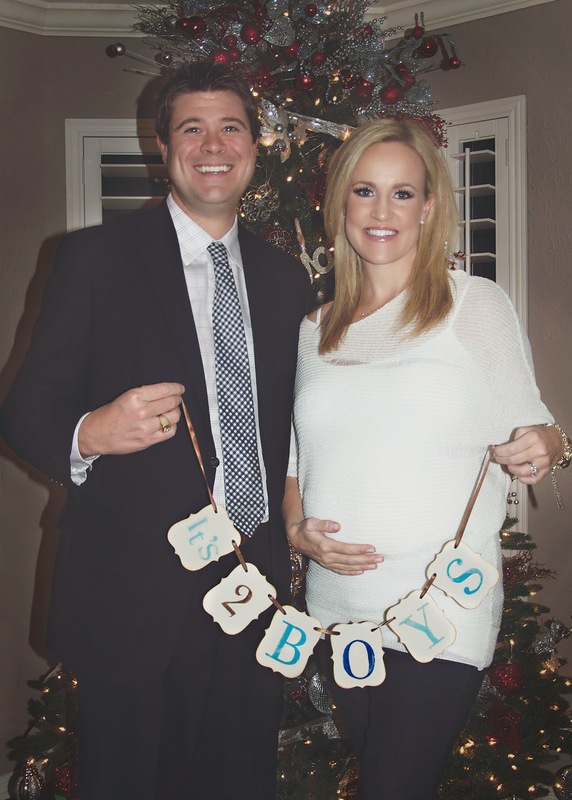 After a very careful and closely monitored pregnancy, I delivered my twins, Lyla Tristan & Nixon Sawyer, on February 27, 2014 at their scheduled C-Section date of 37 weeks, 2 days gestation. As prepared as Trae and I thought we were for twin parenting, we have learned there is no way to fully prepare yourself for the lack of sleep, expertise in multi-tasking needed to get through a day, challenges of breastfeeding, and of course above it all - the abundance of love you feel for your new little ones. 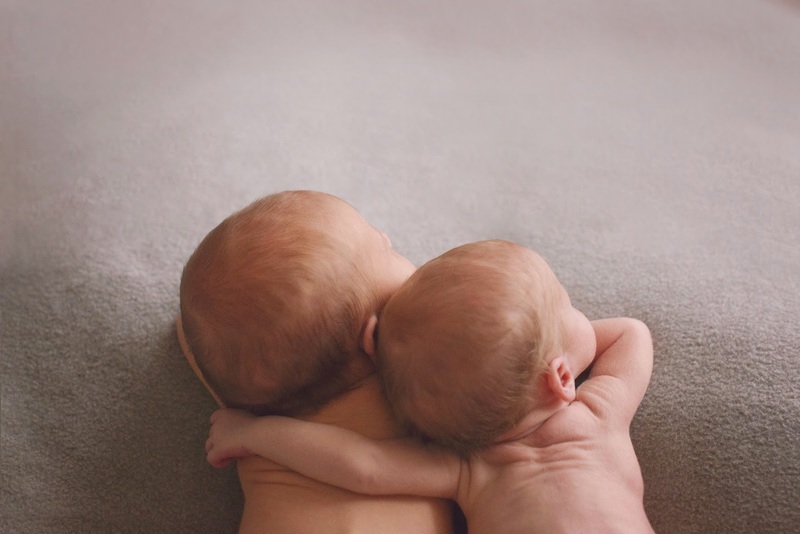 While there is certainly no “typical” day in your first month with twins (well, with my twins there wasn’t), there are consistencies that you can count on: lots of diapers, probably some spit up, lots of breast milk and very little sleep for you. Each new day starts with the first feeding in my house, around 1 AM. I’ve always had a desire to breastfeed but have learned I don’t produce enough breast milk to satisfy both girls demanding feeding schedules, so I am on a nurse/pump/supplement with donor breast milk schedule. I get donor breast milk from the local breast milk bank in town where they pasteurize their donor milk & pack it in three oz bottles for $4.50/oz. I have also gotten donor milk using an online group called Human Milk 4 Human Babies (HM4HB) where moms that have an oversupply go and post availability for moms like me, who have a need. This is a great service that’s available locally via Facebook groups. 1:05 AM: Lyla wakes up crying in her Rock-n-Play, located in our bedroom. I change her diaper, reswaddle her & begin to breastfeed her. 1:11 AM: Nixon wake up crying in her Rock-n-Play, also in our bedroom. Because Trae has to work in the morning, I put Lyla down in her Rock-n-Play while I change & reswaddle Nixon. 1:13 AM: Both girls are crying, hungry and Trae has woken up. I go into the kitchen, grab 2 bottles of breast milk from the refrigerator and begin to heat them up for the girls to eat. 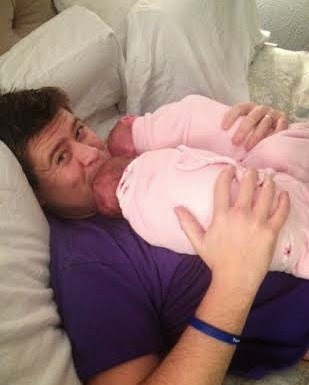 1:20 AM: Trae feeds Lyla a bottle while laying in bed while I breastfeed Nixon for 10 minutes, then feed her a bottle. 4:32 AM: Nixon wakes up crying for her 2nd meal/diaper change. She is fed a bottle of breast milk. 4:51 AM Nixon starts spitting up everywhere & crying loudly. I begin changing her out of wet swaddle & nightgown and Lyla wakes up. 5:01 AM: Trae feeds Lyla a bottle while I finish feeding/burping Nixon. 5:22 AM: Nixon goes to sleep, I finish feeding Lyla a bottle. 6:11 AM: I sit in my recliner in living room and pump while eating a banana. Breastfeeding makes me as hungry as I was while pregnant! I pump 5 oz, wash dirty bottles from our previous feedings, make bottles for next 3 feedings. 8:17 AM: Nixon wakes up for 3rd feed/diaper change. I change her and take her to living room to breast feed while watching The Today Show. 8:40 AM: Nixon falls asleep while breast feeding- I swaddle her loosely with blanket and put her on her Boppy Lounger to rest next to me on couch. 9:05 AM: Lyla wakes up for her 3rd feed/diaper change. I breast feed her on couch in living room. 10:15 AM: I pump for 2nd time using hands free bra & eat breakfast. In an effort to increase my supply I make an effort to drink enough water, take fenugreek consistently and eat small frequent meals. 10:51 AM: I straighten up the house, make bed, take quick shower & start load of laundry. 11:30 AM: I sit in recliner and close my eyes hoping to get a couple hours of rest. 12:10 PM: Lyla wakes up for 4th feeding/change. I feel exhausted. I change her diaper & put her in her day clothes & begin tummy time. She gets frustrated quickly with tummy time, but likes play time on her back after a couple minutes of hard work on her tummy. 12:45 PM: Daddy is home for lunch! 1:00 PM: Nixon wakes up. Trae changes her diaper & clothes while I warm up her bottle. 1:55 PM: Nixon falls asleep & is put down on her boppy lounger. 2:10 PM: I make myself an easy lunch: banana w/ peanut butter, leftover chicken & rice and eat quickly- maybe I can take a nap?! I should pump but I’m SO TIRED!!!! 2:30 PM: I fall asleep in my recliner with girls next to me asleep on couch. 4:40 PM: Lyla wakes up. I pick her up- she is all wet- her diaper has leaked. I change her diaper & clothes. 4:50 PM: Lyla has “play time” with Mommy (we play patty cakes, and I sing songs to her like “Heads, shoulders, knees & toes” while touching her body parts). She loves music & Mommy touching her! 5:00 PM: Nixon wakes up. I put Lyla down in her bouncy-chair while I change Nixon. 5:10 PM: Lyla & Nixon play on playmat together. 5:40 PM: Daddy is home!! 6:15 PM: Lyla is falling asleep- I put her in her bouncy/vibrating chair to rest. 6:30 PM: I pump in my recliner while talking to Trae about his day. 6:40 PM: Nixon is put down to rest in vibrating chair. 8:15 PM: Guest leaves & we eat dinner. We bring girls into kitchen in their vibrating seats next to kitchen table. 8:30 PM: Lyla is fussy & wants to be held. I hold her while we finish eating. 8:35 PM: Lyla spits up all over herself & me. I decide its bath time for girls. 9:25 PM: Lyla & Nixon are swaddled and given a 4 oz bottle of breast milk by Trae and myself. 10:15 PM: Girls are swaddled and sleeping on their boppy loungers on the couch. Trae and I watch TV together while checking email on laptops. 11:30 PM: I wash bottles, straighten kitchen & make bottles for nighttime feedings. 11:45 PM: Both Lyla & Nixon wake up crying when we try to move them to their Rock-n-Plays. I tandem nurse girls while sitting in bed. Girls fall asleep quickly. 11:55 PM: Girls are put down in their Rock-n-Plays to sleep. We get ready & go to bed quickly- we have to get to sleep- the girls will be up again soon! As I look at our day in hindsight, I see many places where I could have made improvements. Maybe I could have gotten an extra few minutes of sleep here, done additional tummy time, or pumped more… but I can confidently say we’re doing what any new parent does… the best we can! Breastfeeding is hard- pump as often as possible. I have met VERY FEW women who produce enough milk for 2 babies from the beginning. For most of us, it takes hard work to increase our milk supply to its highest potential. 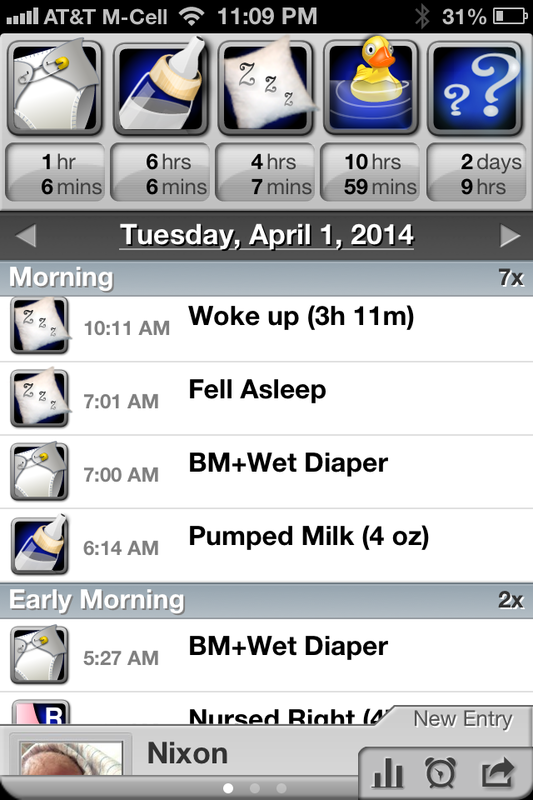 Work with a lactation consultant from the beginning and pump every 2 hours, if you can! Also, Fenugreek is a must. Have someone make you a care calendar.. but with rules. Having a friend make you a care calendar is so helpful. You wont have time to make meals or even think about meals- in fact, most things we eat are either sandwiches, snack items like granola bars and meals prepared for us by others. When setting up the care calendar- MAKE RULES! Rules should include what items you like friends to bring/not bring (we opted for writing nothing too spicy since I’m breast feeding) and also write what hours you are allowing guests. 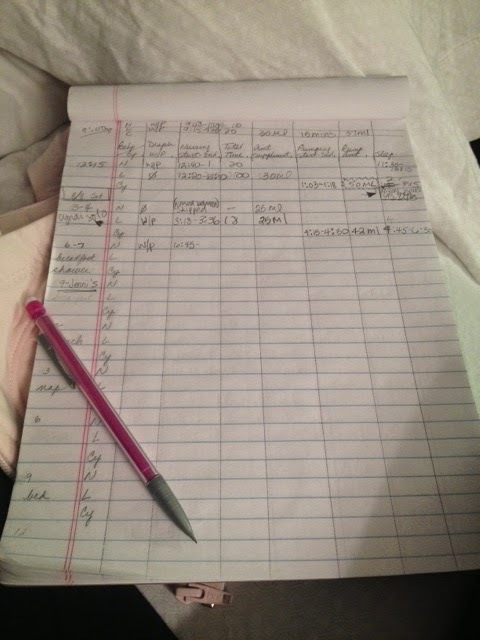 You WILL have guests forget these rules from time to time and stay too long and it TOTALLY throws your schedule off.. so it’s nice to write the rules up front and help most your guests know from the get go that you can’t visit for more than an hour. Trae and I have taken turns getting out of the house without the girls for small errands, which we believe is helpful in saving your sanity. While you’ll have to take the girls out for Dr appts and other reasons in first month- don’t try to do too much with them if you don’t have to- it’s not worth the anxiety! Like many others, I’m a women that likes to attack challenges myself and find it hard to accept help from others. I’ve given this up. While our moms don’t live in Austin with us, they made separate trips to help us here and there. The help was SO needed and SO appreciated. Just having an extra set of hands allows you to keep to a pumping schedule or maybe get an extra few minutes of sleep- so necessary if possible! I’ve also had a friend come over for an hour and help with the girls while I catch a cat nap or run an errand. Just say “yes” when someone offers the help!! While the only real “schedule” you’re sticking to is Eat, Sleep, Diapers… an actual schedule is necessary for us to understand when they ate last and when they will again so you can plan how much time you have to sleep/shower/clean while they sleep. Also, our pediatrician would ask us questions like “how much are they eating a day” or “how many diapers did Lyla have”.. I would have had NO idea, unless I kept a schedule. It holds you accountable and makes you feel like you have some control over a hectic day. Our babies change EVERY day! While its exciting to see their cheeks plump up and their eyes to open more often, it’s a little sad to see how quickly it all happens!! Take lots of pictures- worry about printing them/editing them later- just take the picture!! We are loving every minute of this twin parenting ride. Our girls have brought out joys in our heart that we didn’t know were there and we can’t wait to experience all the joys and challenges that continue to come with twin parenting. As hard as it is sometimes, all I have to do is look down in my daughters eyes, smell their sweet baby smell and thank God for allowing us to experience this again. Reading this post 16-17 months later brings in a flood of memories. Exhaustion, more exhaustion, attempts at time management, bottles upon bottles, and swaddling.. don't know if it could be done now if our lives depended upon it. But, the real memory is the feeling of being a new mom to multiples. If any of us can relate to anything, it is that. Thank you, Cyndi for sharing your day! Stay tuned for A Day in the Life: 2 Months in a few weeks! Congrats ladies! If you have Instagram or Facebook we want to see your littles! Be sure to tag us, and don't forget to tag Cotton Cupcake Shoppe, too! Thanks to everyone for the overwhelming amount of entries we had last week! SO much fun for us to do this for you. And you better believe we are doing it again very soon! LOVE this!! I really have forgotten how hard it was (my girls are 16 months)! It is still insane to me that a baby can wake up at 1:05am and not go back to sleep until 2:33am! But that is exactly how it goes! Hang in there Cyndi and Trae, it gets easier I promise!!! Cyndi I loved hearing about a typical day for you!!! 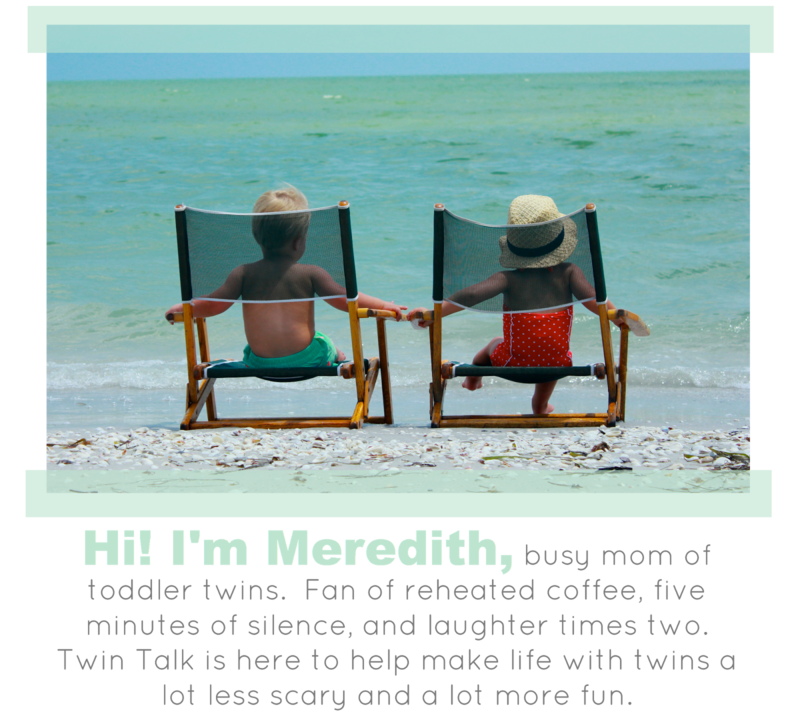 It's amazing how quickly the insanity of twin newborns becomes your normal. And right when you think you have the hang of it, the little ones change! Your girls are the cutest things and seeing them brings a smile to face every single time! Wow! Not sure how you do all that but sounds like you a doing a great job! You and Trae are wonderful. The pictures are beautiful. And Lyla and Nixon are perfect. God bless you all. Love this! My twins are almost 15 months now and that first month was a blur. 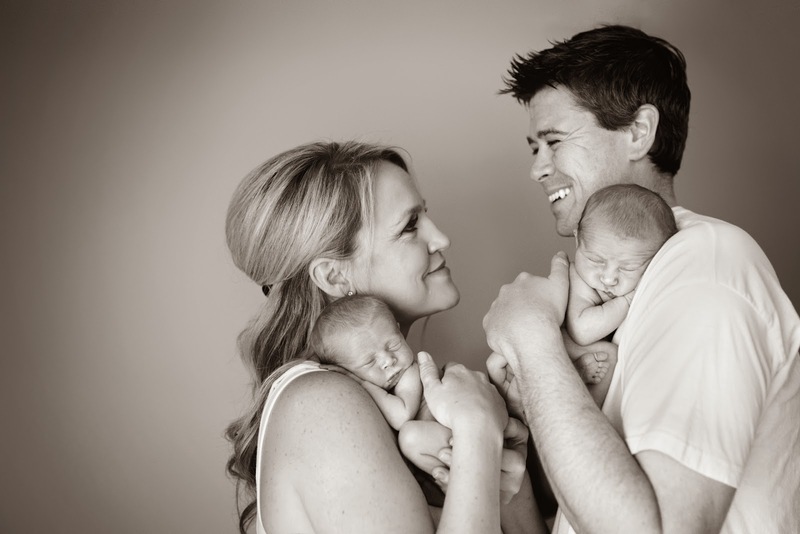 I was one of the lucky ones who was able to breastfeed my twins exclusively so it can be done.